A tasteful side to any dish. 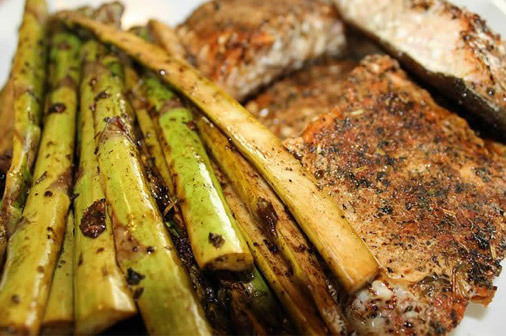 This marinade is a wonderful way to add flavor to your grilled asparagus recipe. Slice each asparagus in half lengthwise. Place all ingredients into a 2-gallon Ziplock bag. Grill on medium high heat. rill for approximately 10 minutes, tossing frequently.